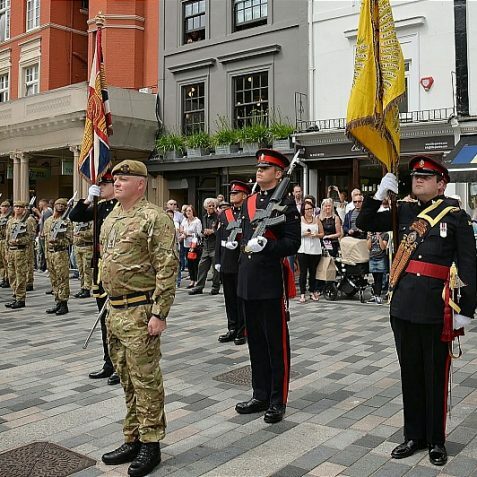 Click on a thumbnail to open a large version in a new window. 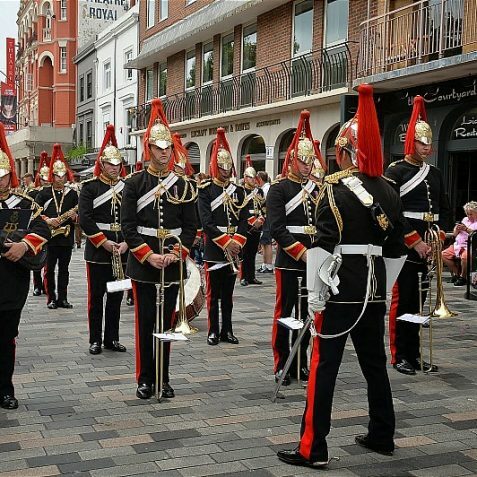 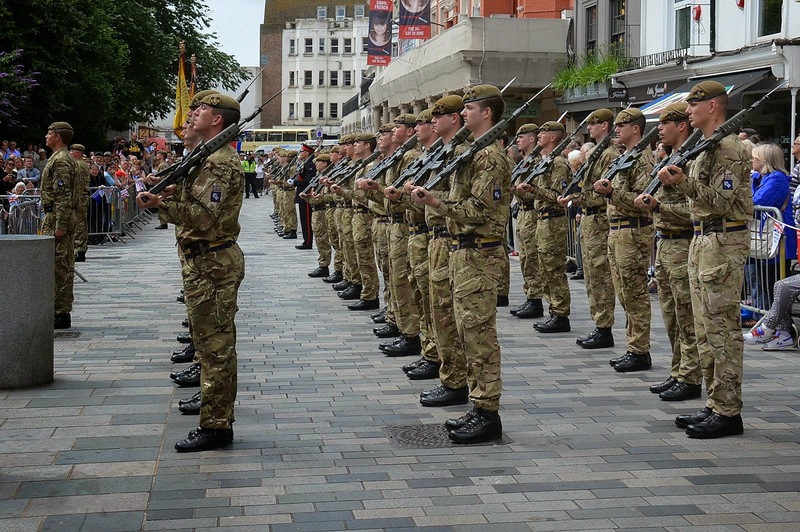 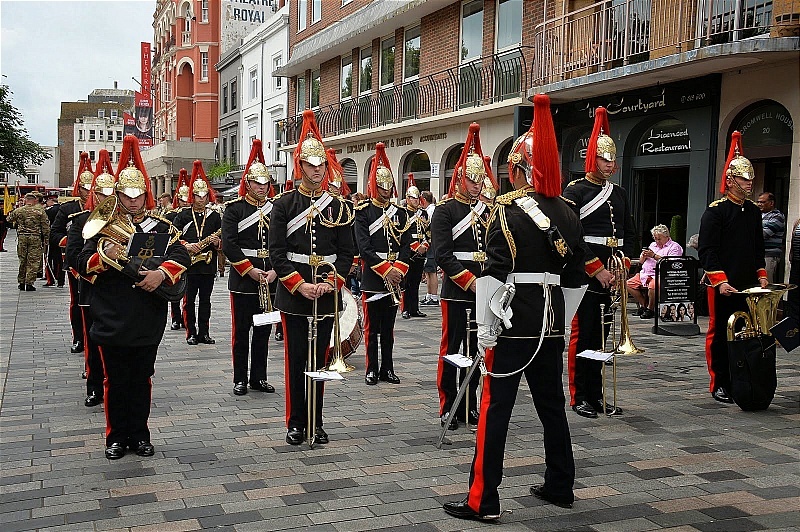 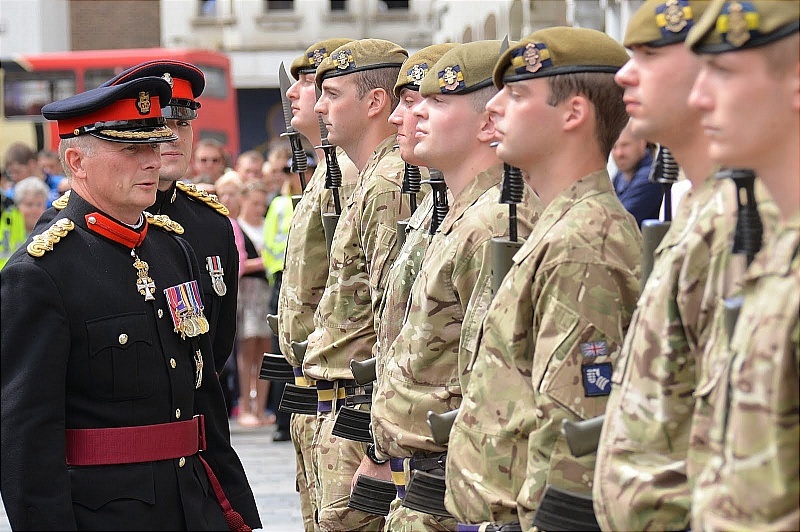 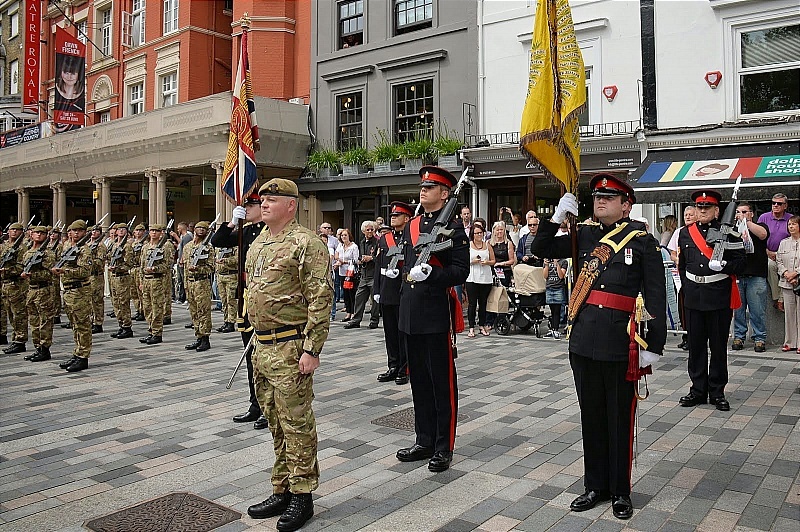 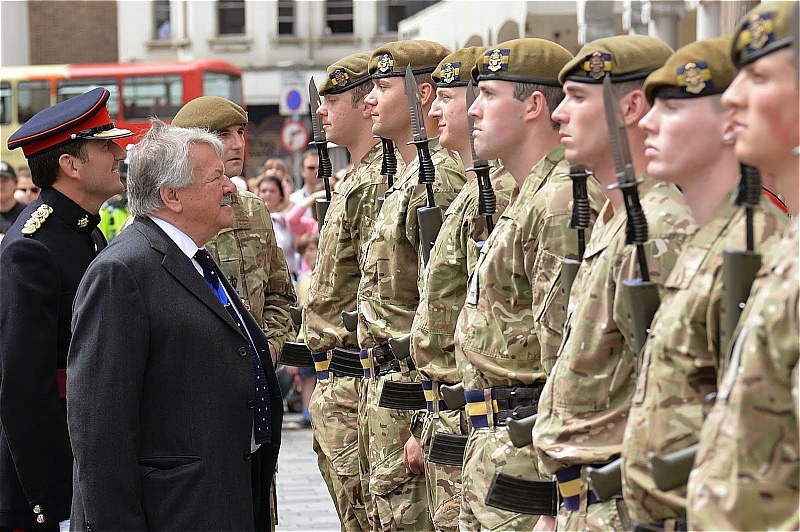 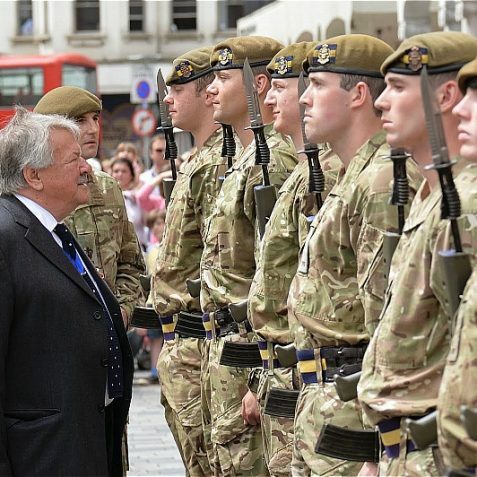 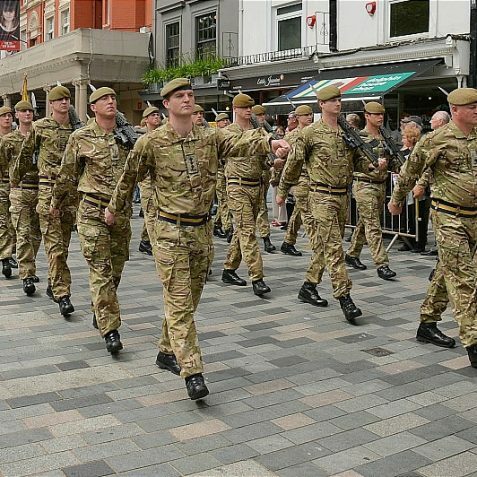 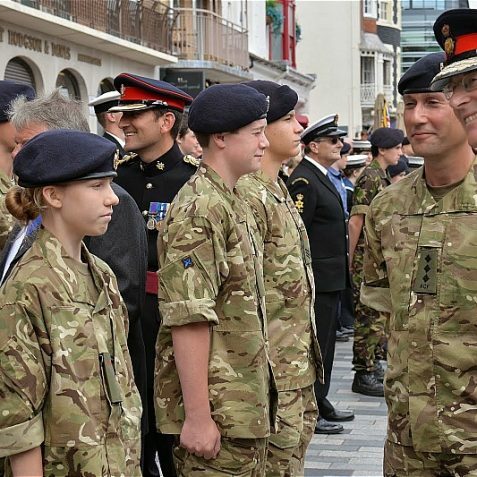 Armed Forces Day, Saturday 28th June was marked in the city by a Freedom of the City March by a contingent of soldiers from the Princess of Wales’s Royal Regiment 1PWRR; they were accompanied by the Band of the Blues and Royals. 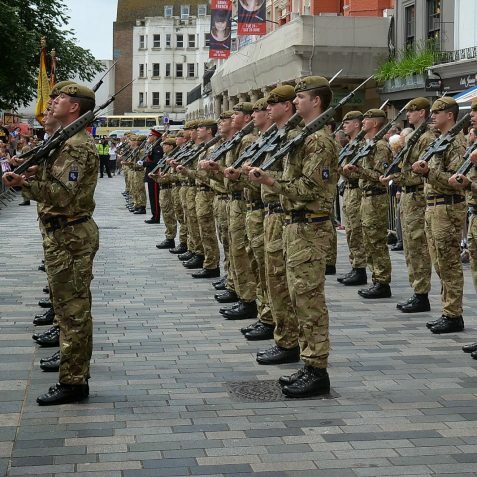 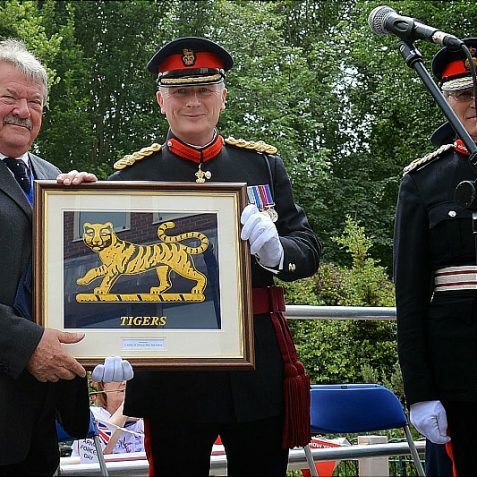 The PWRR regiment, nicknamed ‘The Tigers’, recruits exclusively from the south east region, including London. 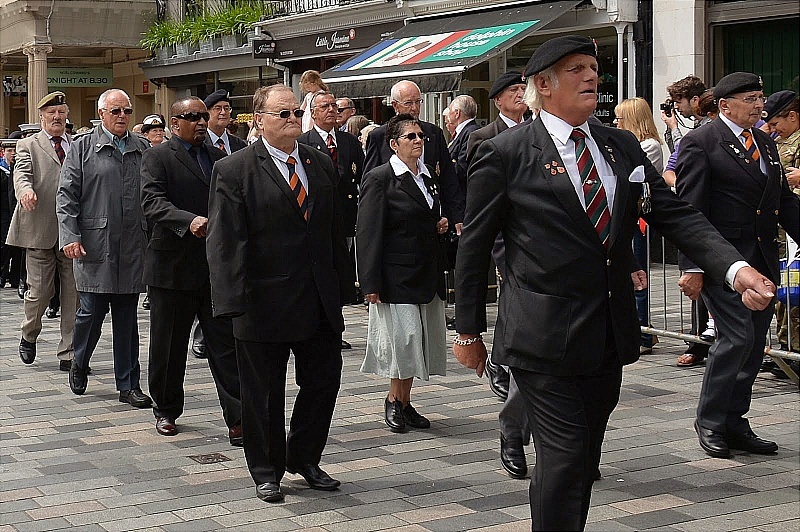 The march began at the Peace Statue in Hove, moved along the seafront, up West Street and North Street into New Road. 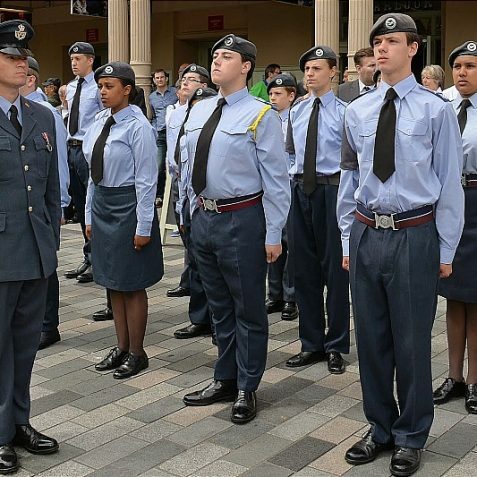 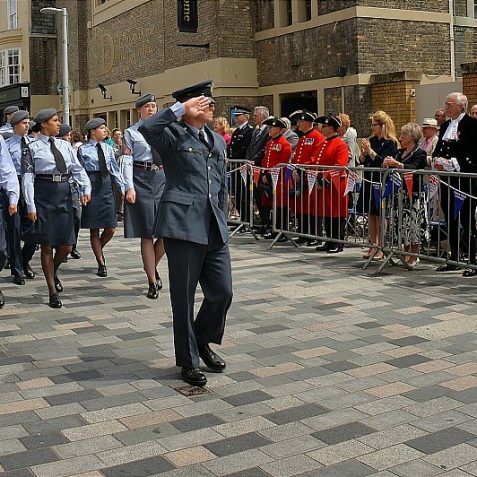 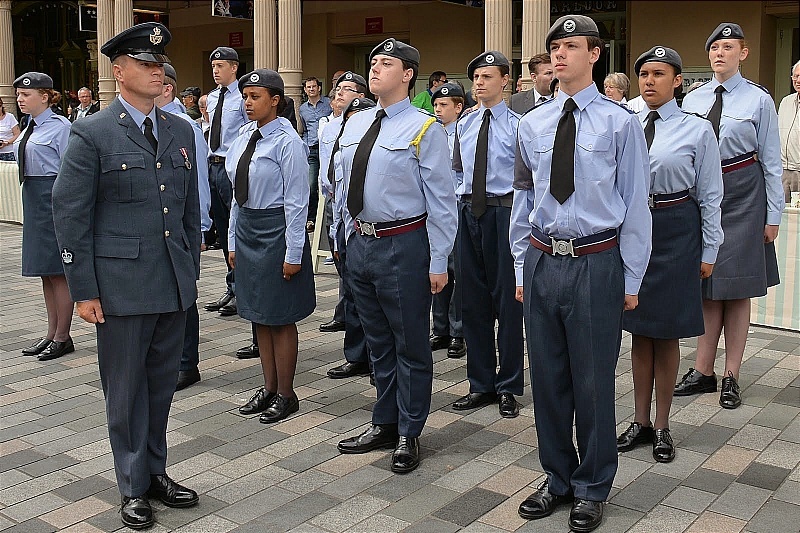 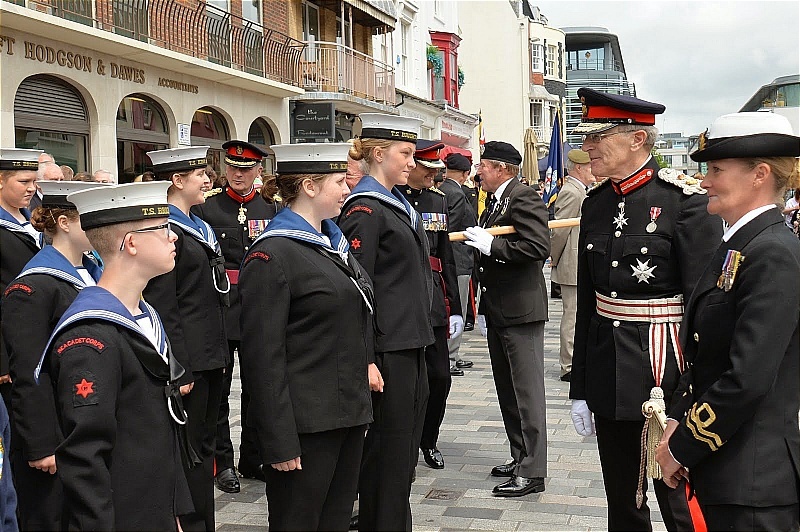 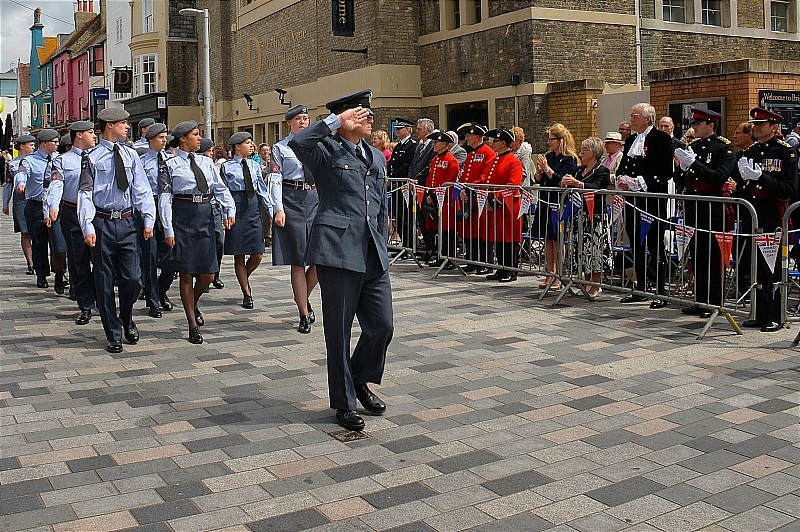 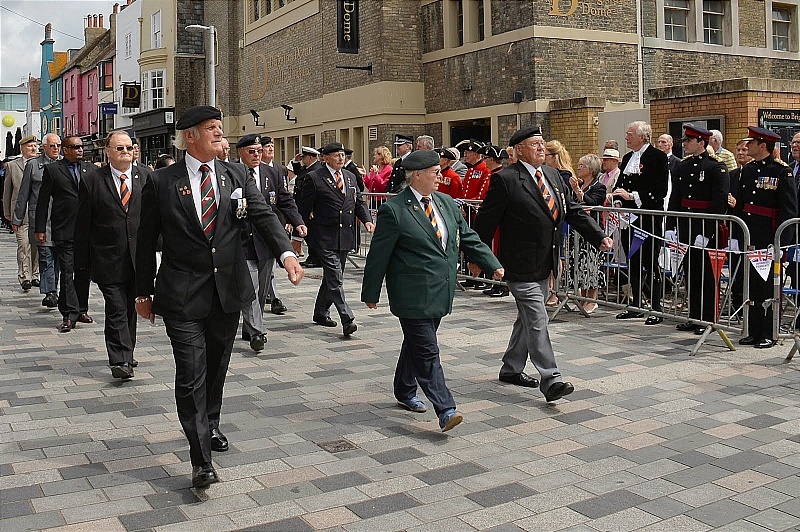 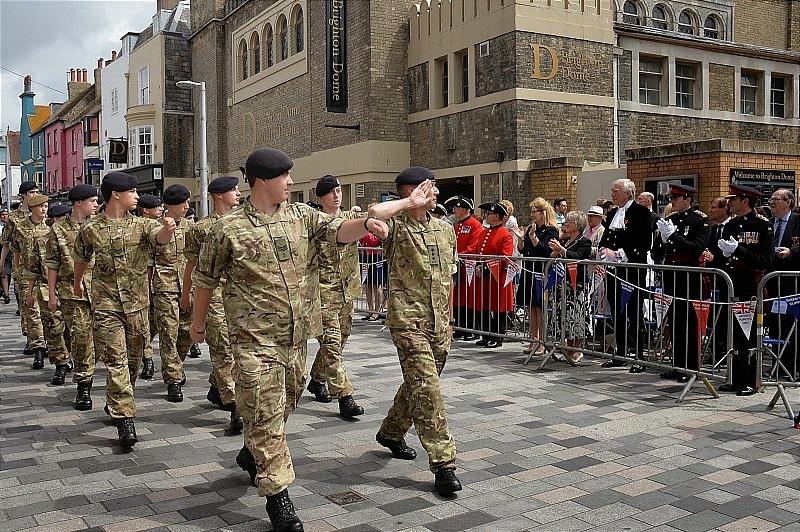 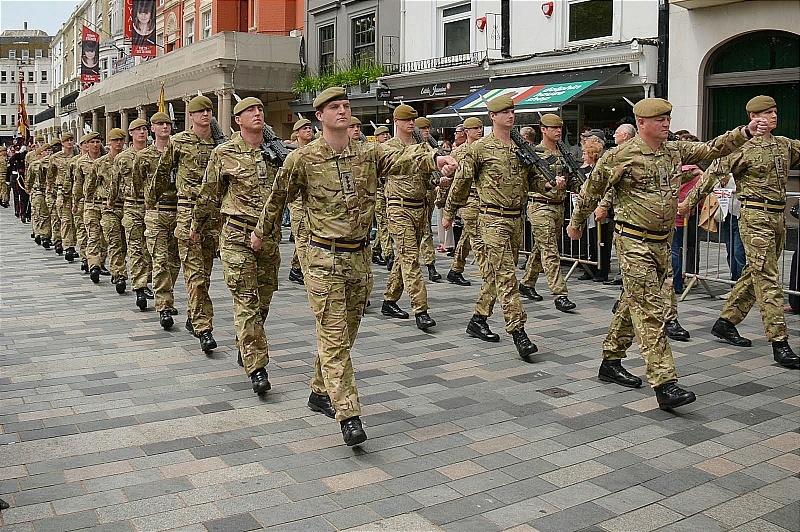 The march and parade was followed by a parade by local Veterans and service cadets. 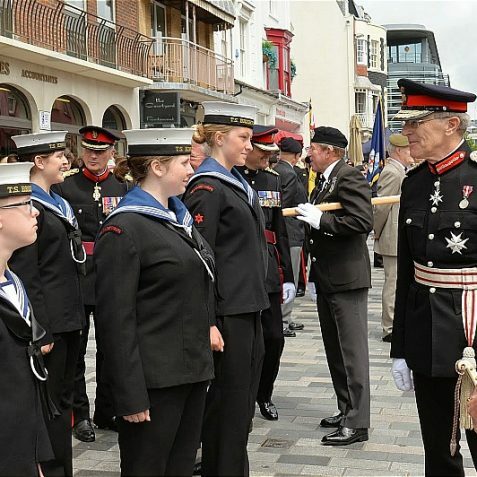 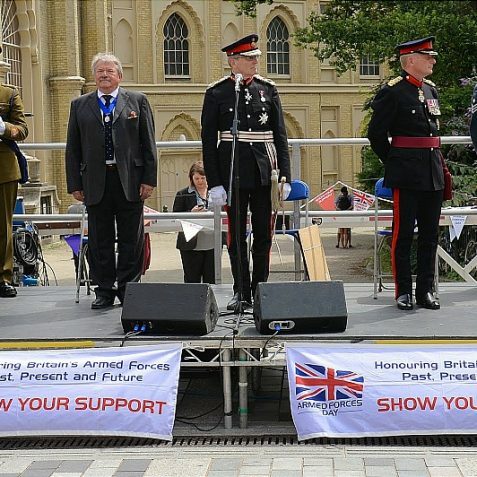 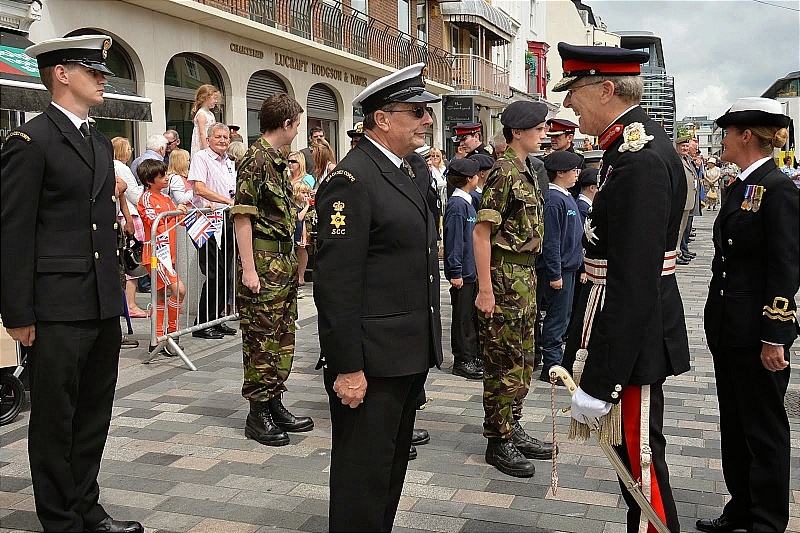 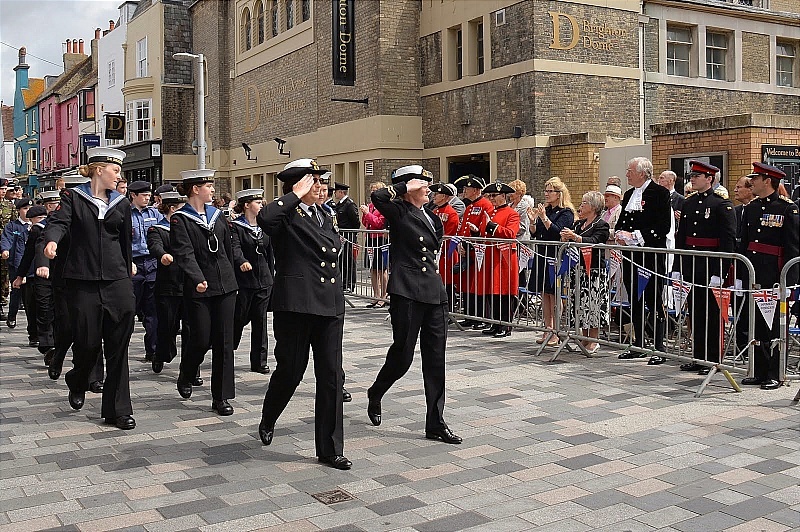 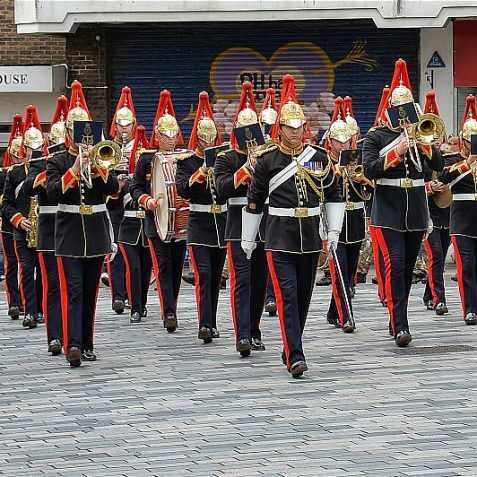 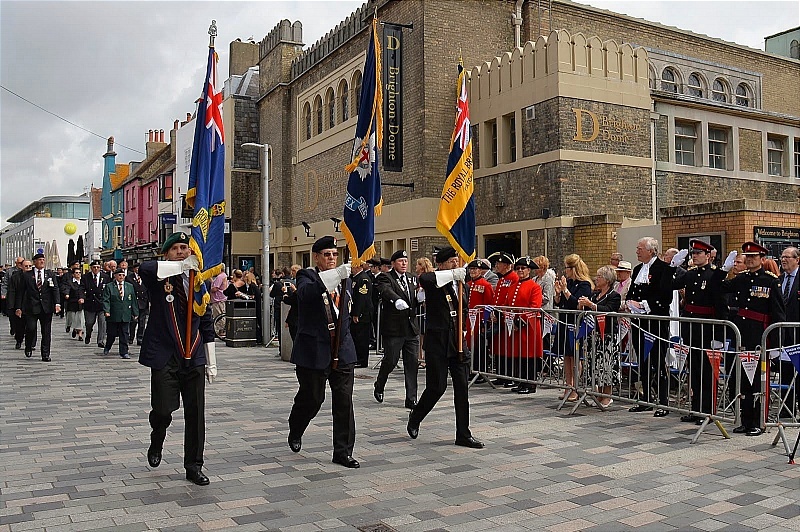 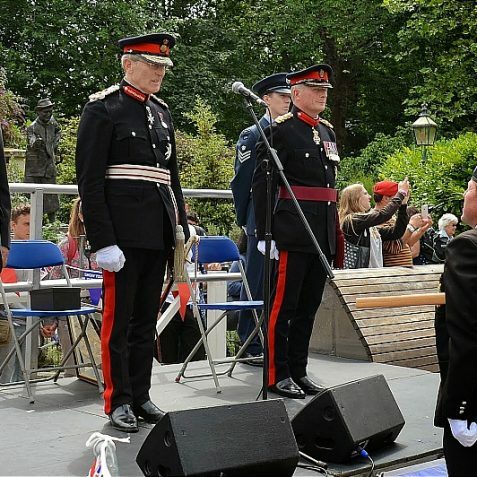 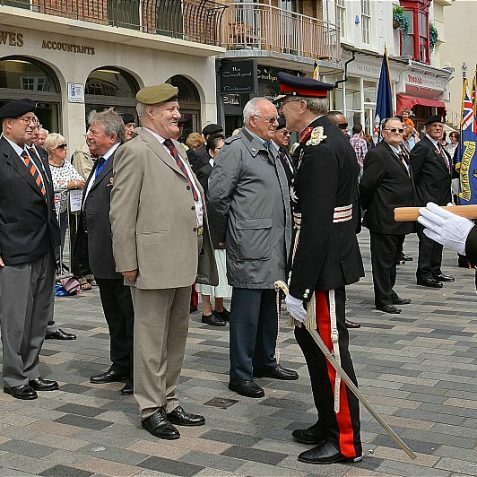 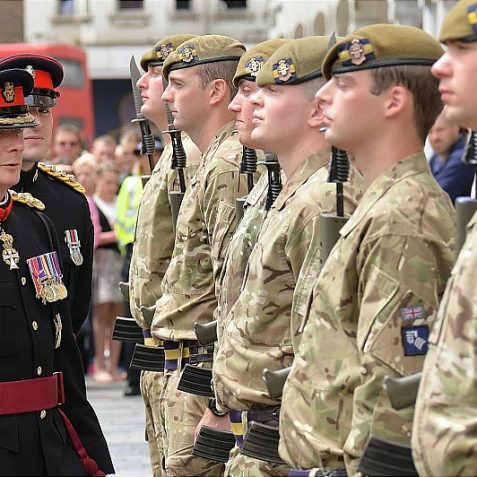 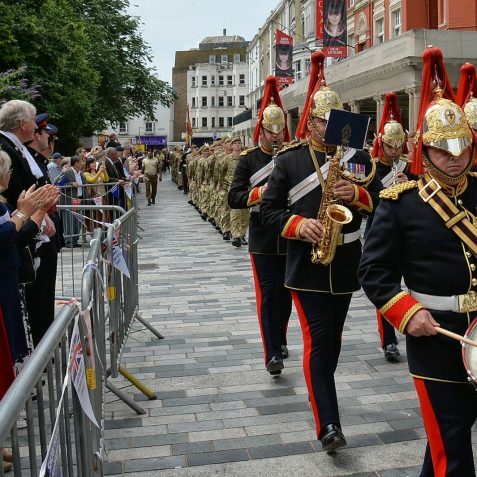 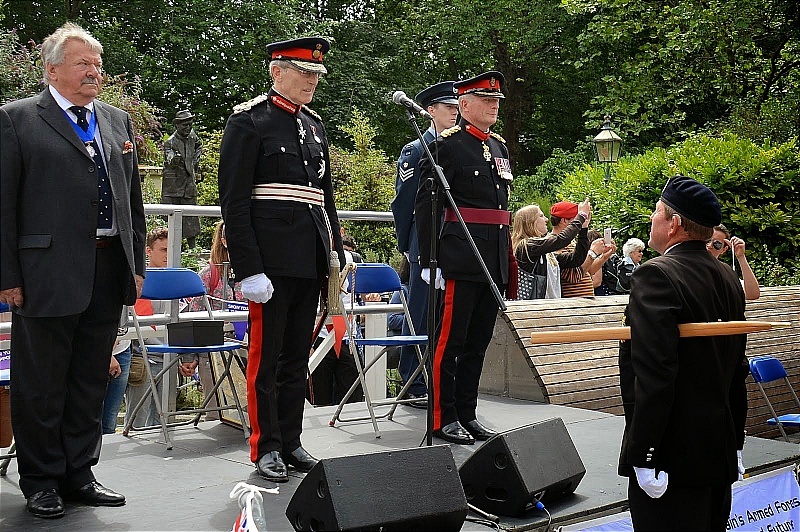 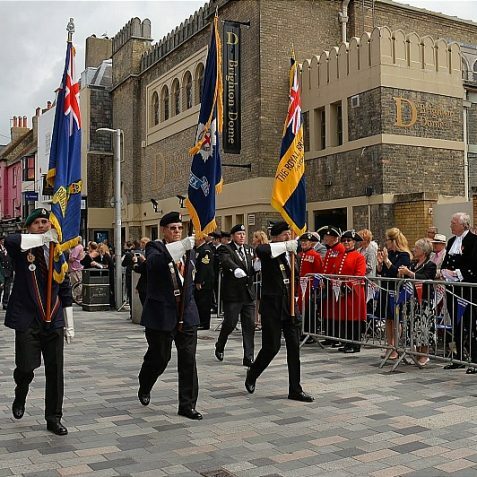 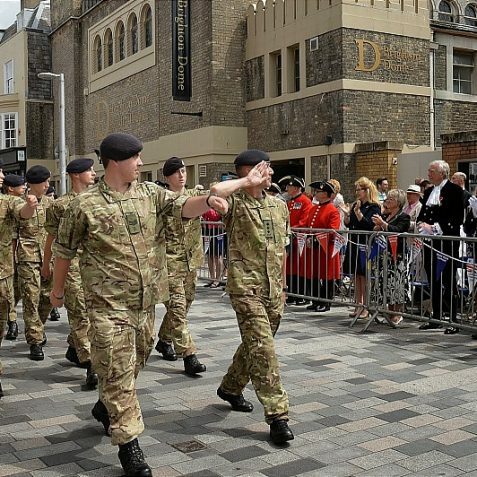 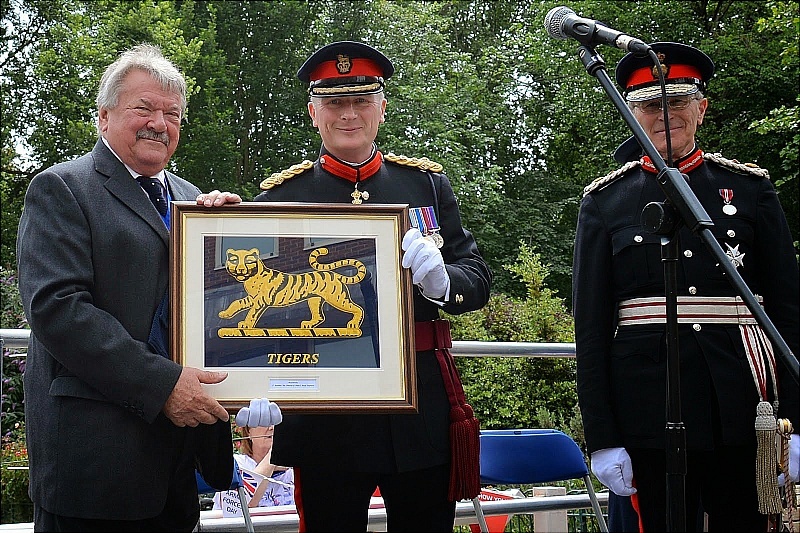 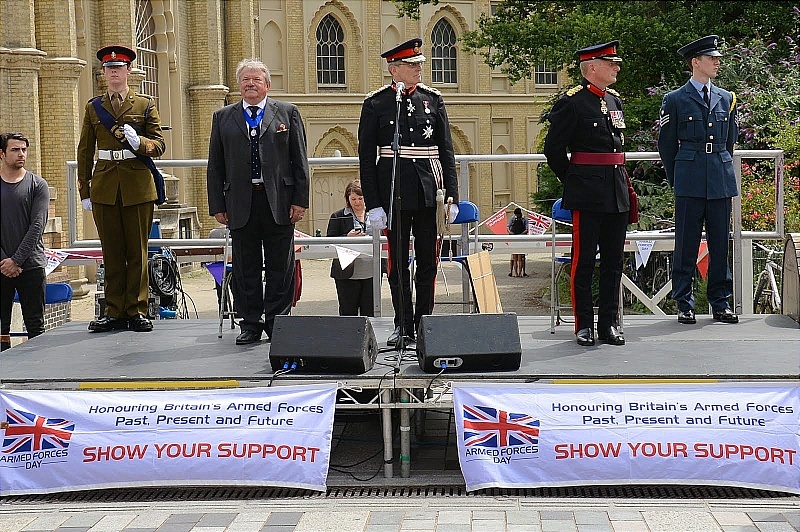 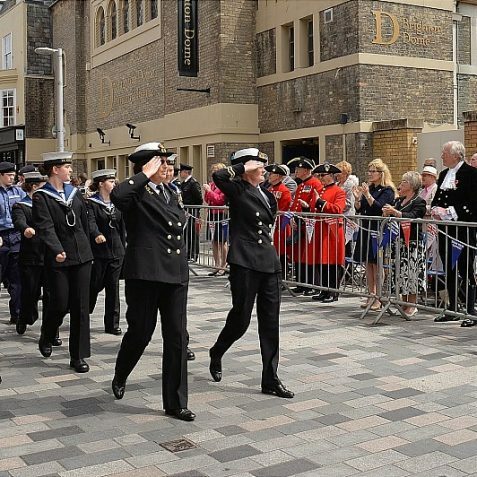 The salute was taken by The Lord Lieutenant of East Sussex, Mr Peter Field, the Colonel of the Regiment, Brigadier Richard Dennis OBE, and former Mayor of Brighton and Hove, Councillor Bill Randall. 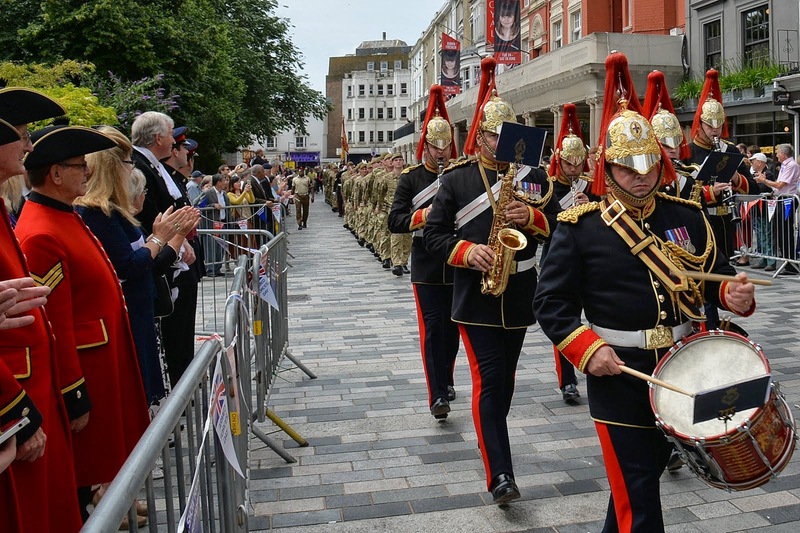 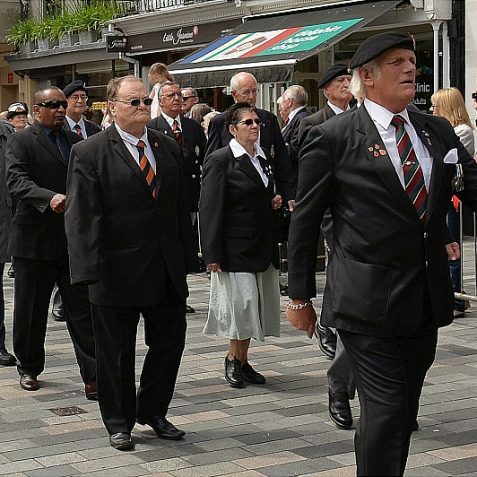 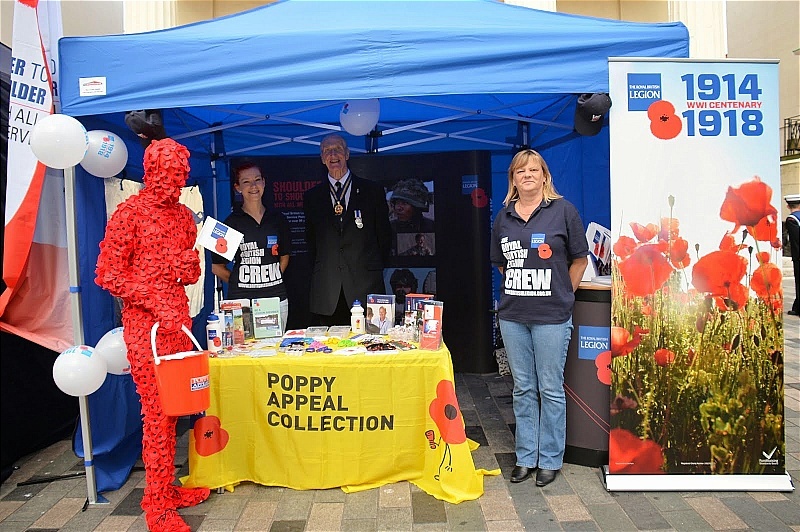 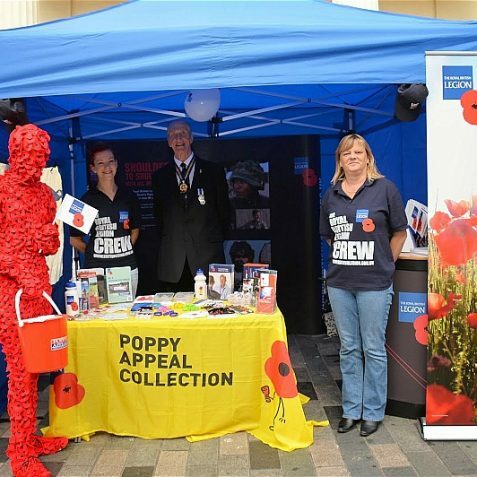 The event is part of a programme of civic and community events going on this summer as Brighton & Hove commemorates the 100th anniversary of the World War One. 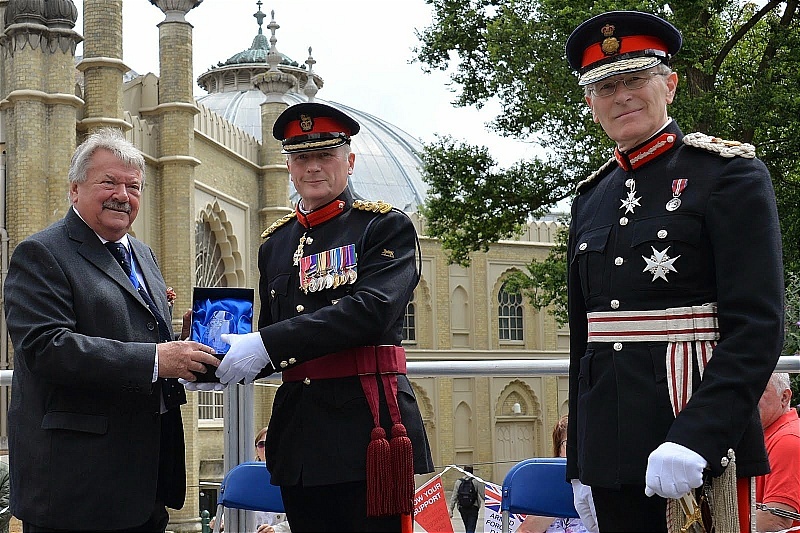 If you would like to find out more about events happening in the city to commemorate the Great War, you can find out details at the Brighton and Hove City Council website page here. 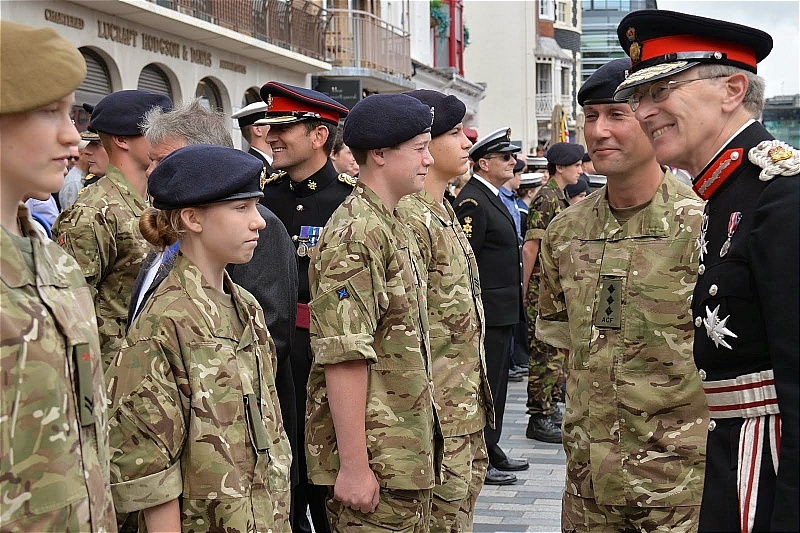 Great pictures as always. 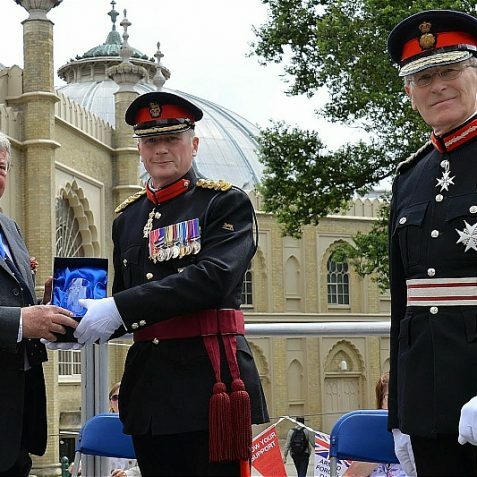 Many Brightonians must have proud memories brought back. 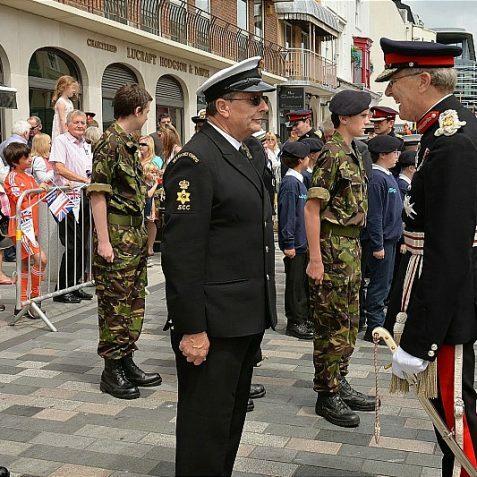 My own are of a couple of smiling boys in uniform in my birthplace in Northern Ireland. 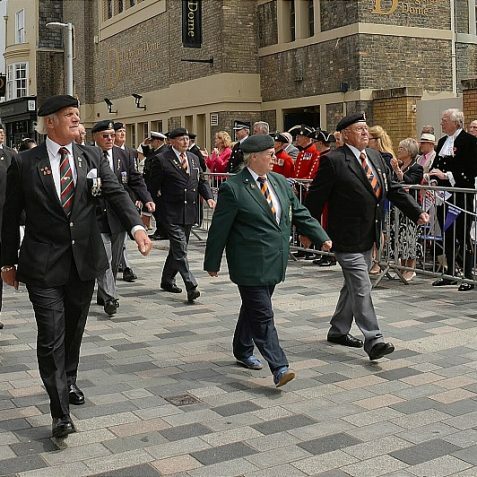 Their exact relationship to me is lost in time – I was between five and ten – but they WERE related to me, and they were smiling proudly in their new British uniforms, and they were torpedoed on separate ships. 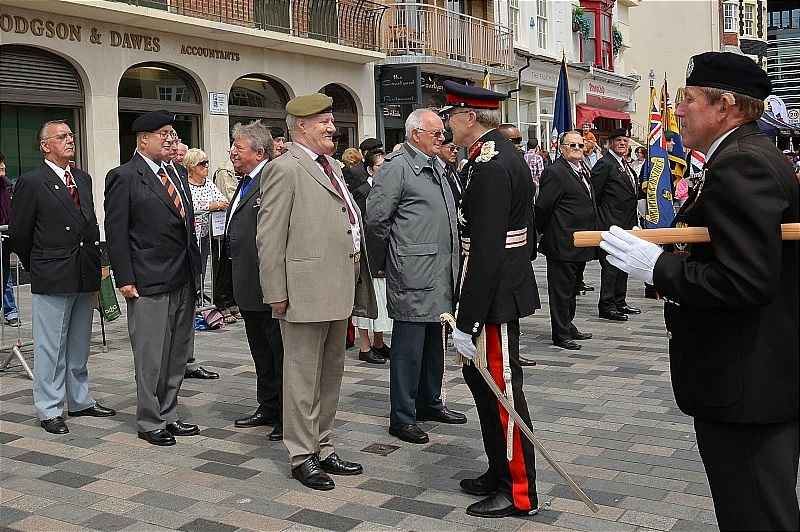 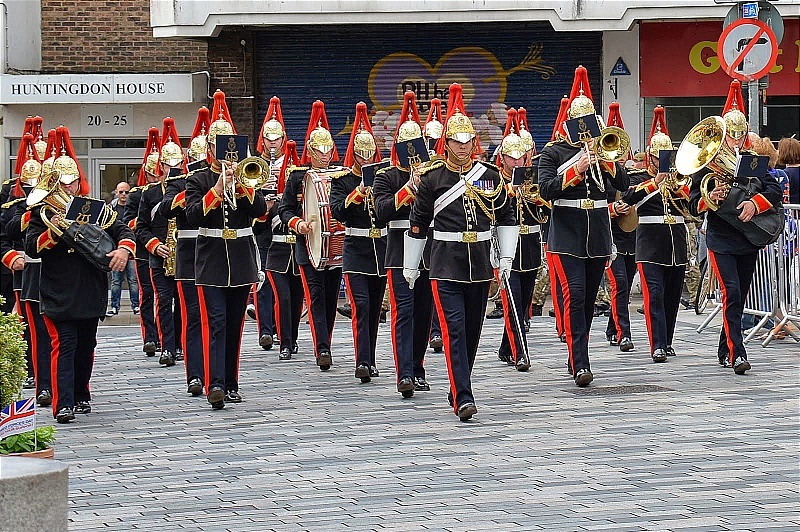 Those boys are gone, but – lest we forget..
What happened to the Royal Sussex Regiment?